With the 90th Academy Awards taking place later Sunday (March 4) all eyes are on what was arguably the most impactful and commercially successful film of 2017, Get Out. While the film is up for an Oscar in four categories, director Jordan Peele has ample reason to celebrate before the ceremony even kicks off. As reported, during the 2018 Independent Spirit Awards, which celebrate the best in creativity and ingenuity in the film industry, Peele took home the prize for Best Director, while the movie itself was awarded Best Picture, with the latter marking the second time a horror film won in the best feature category at the Spirits, joining 2010's Black Swan. 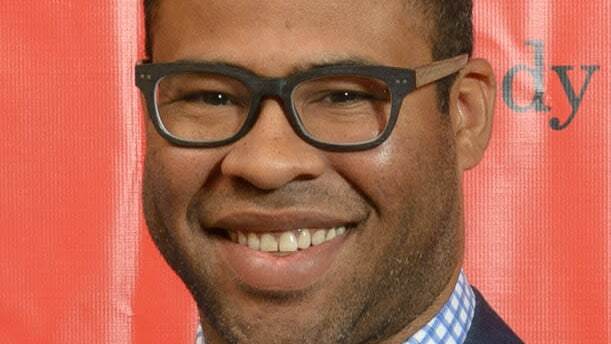 "This means so much," Peele said, as he accepted the best feature award for Get Out. "It's clear to everybody in this room, and across the country and across the world, that we are in the beginning of a renaissance right now — where stories from the outsider, stories from the people in this room — the same stories that independent filmmakers have been telling for years — are being honored and recognized and celebrated and I'm so proud to be here with this group of people receiving this." As pointed out by the Hollywood Reporter, the films that won Best Feature at the Spirits later went on to win the same accolade at the Oscars each year for the past four years. Let's hope history repeats itself tonight. The 90th Academy Awards airs tonight at 8:00 pm ET on ABC. Find out how to tune in live here.